YOUNGSTERS are fine-tuning their stunts for the scooter, skate and BMX competition that will be part of this week’s Butler Bonanza. The free annual event at Kingsbridge Reserve is open to all young people aged 10 and above, giving them opportunities to try a variety of sports and other activities. 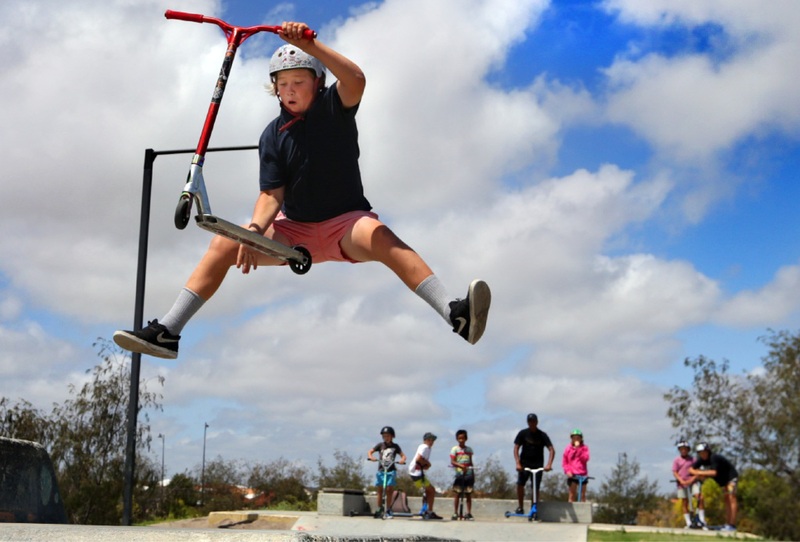 It includes a skate, scooter and BMX competition with Freestyle Now at the skate park, as well as sports clinics with the West Coast Eagles, WA Cricket Academy and Football West. The January 29 program will also feature art, dance and yoga sessions, plus a sausage sizzle and stalls from Headspace, Centrecare, Youth Futures and other community groups. Wanneroo Mayor Tracey Roberts said the City’s annual event gave youth an opportunity to connect with their peers, try new activities and get information on mental health, drugs and alcohol. “The event is celebrating its third year and continues to go from strength to strength,” she said. “This year is the first time it will be run as an afternoon and twilight event and I encourage our young residents to attend and get involved.